We have a venue! Welcome to the Rooftop Garden at the Center in the Square. A little backstory: Steve and I started dating in February of 2013, and one evening that May, we headed downtown, as we often did. It was a warm spring night, and after dinner at Table 50, we walked to Billy’s for a cocktail. You know how in every relationship there are those watershed moments, key conversations or experiences when everything seems to shift, either stall out or leap forward? Maybe the martinis were particularly strong, but as we sat at a high-top near the bar, our conversation turned, for the first time, to past relationships. We shared stories of dashed hopes and talked frankly about some of the painful and pivotal events that had led us to where we were. 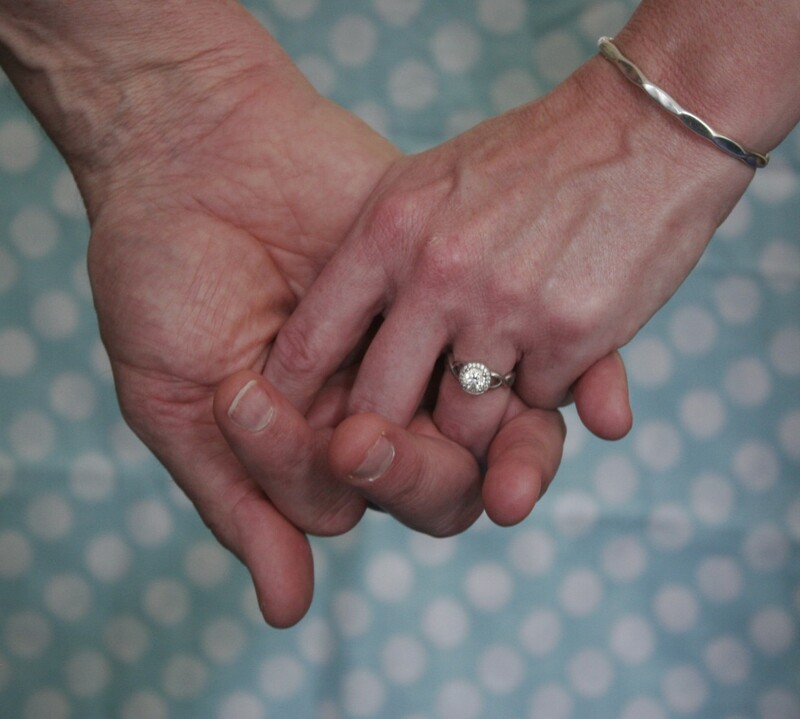 There were a few tears, tightly held hands, kisses of acceptance and promise. When we left Billy’s, my heart felt light and sure. I hadn’t yet told Steve I loved him, but the feeling had taken firm root. On our way to dinner, we’d seen a number of dressed-up folks, women in evening gowns, men in tuxedos and sharp black suits. The party-goers were too mature for prom, so when we spotted a large white tent on the corner of the market, we’d figured there was a ball or fundraiser going on. By the time we left Billy’s to stroll around and enjoy the weather, the party was in full swing. The tent was lit up, and we heard the unmistakable sound of my all-time favorite 80s-cover band, Superhold.